Very soon it became clear to me that an artist is never completely satisfied. In my case, definite ly happy, after all, these skills had come from ‘no-where’ and clear progress was being made from one piece to the next – how amazing is that! But, when a sculpture is completed you inevitably see where improvements could be made – I guess that this is what drives an artist on….A strong desire to move forward, creating more powerful work. On top of this I was feeling an increasing need to develop a language and style of my own. I felt that in order to progress I needed to up the ante, to devote more time to my art and find a special place which would both educate and inspire. I looked at a good number of institutions but in the end precious few felt like the right environment for me. Then, the big break through, I went to see Tanya Russell at The Art Academy in Southwark, London. 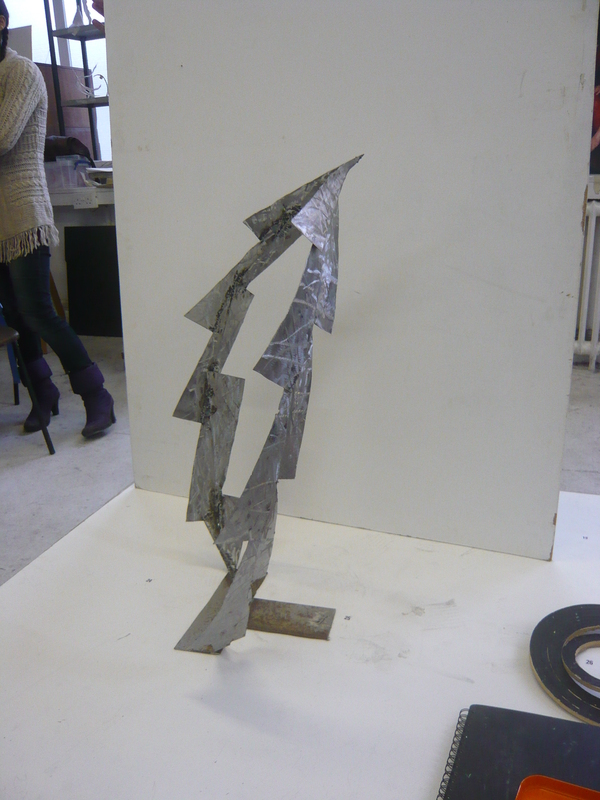 PS Pic to the left – My new welding skills, Distress, an abstract sculpture in steel.